OH my, lads and lassies....just take a gander at the link MOP friend, Carla sent me a little while ago. Is this absolutely stunning or what? I totally want one. It has a starting bid of $150 (US) on eBay...or you can "buy it now" for $170 (US). AND - it ships worldwide! hehehehe... did ye notice the deer's tongue? Yum, yum! 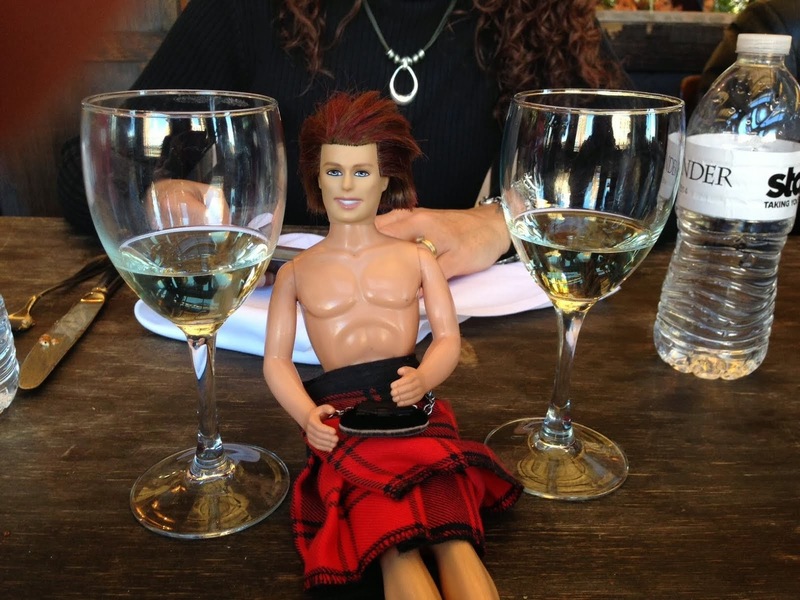 if ye go to yer local scots festival, they usually hae' them around 35-40 dollars. I just checked the Internet for prices and the lowest price I encountered was $119, but the design wasn't quite so good as the ebay one. Prices range up to $375 for custom badge creations. Are you certain that you are sharing a sterling silver price??? If you are, can you provide some vendor names? I mean it is unbelievable, I love Jamie. wvubonehead--Oh, yeah, that excerpt has been around for awhile and agreed, it is, um, mighty tasty. Soooooooooooo off topic here, my apologies. I'm at ch 83 of Echo and I'm scared. I am completely stalking the MOP Book Review/ Echo section. ... and it's like a little cyber support group full of reassurance and hand holding. I accept to cry over one of the Ians, but if I'm crying over both of them... No, just no. Young Ian's cough has me worrit. ...and god help me if I have to add Rollo to my tear jerk list. I feel like reading this series was like a pregnancy(and it's taking me roughly the same amount of gestation time), full of joy, fear, pain, speculating, and such. Outlander is conception ;), Dragonfly is the painful first trimester... and so on. Well, now I'm just about ready to push and the epidural has worn off. This baby better be cute, is all I can say. Waiting for the next book will be the post partum depression. Keep us posted, lass. And stock up on the wine. And xanax. My god I miss Mr Northman, Stacey. When is True Blood coming back? I canna stand the wait. Thank god VD came back last night. I will be drooling over Stefan this evening on my DVR. I soooo want this badge!!!!! Stuff the bills and food/smood....I need the badge. I think I am just a litte way behind you. I have a knot in my stomach every time I read becaue I know how it is going to end but not how it gets to that point. Kinda like birthing a baby. I am just to where Joan asks Jamie to make Leg hair marry Joey. (I think that is his name). 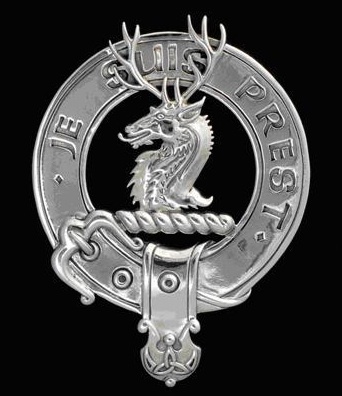 I don't know as they're sterling silver, but a badge is a badge, aye? :) My inner-fangirl had a mini-meltdown when I saw one at the last scots festival I went to, and realized I didn't have enough money on hand. @ anonymous- How are you doing? I'm glad I DVR'ed Thurs. night's Vamp Di, I hear it was a goodie! New True Blood, 6/26. At least Northman is a a nice shiny object to distract us until we get New Jamie!